inspirations, and how she keeps things fresh after 20 years in the business. 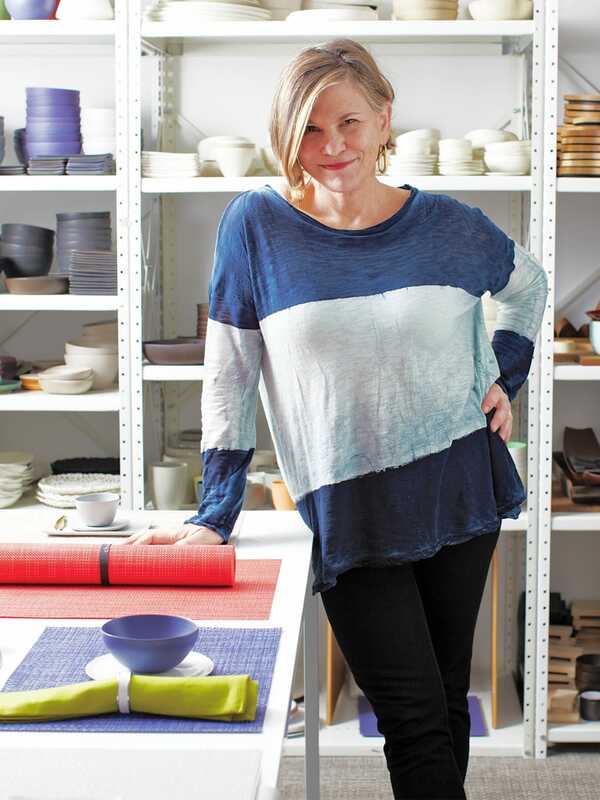 For nearly 20 years through her namesake company, Sandy Chilewich has redefined the world of textiles for the table and floor, indoors and out. The extensive catalog—including proprietorially woven, printed, tufted and molded vinyl placemats and floormats in a rainbow of colors and patterns—continues to grow. We got the chance to chat with Sandy to find out more about some of these new offerings, as well as what keeps her inspired year after year. We know you’ve already talked about this a hundred times before. But, one more time, can you tell us a bit about how Chilewich came to be? I learned early on that even though I was artistic, I was not an artist; I was really a designer. The difference is that in all of my endeavors—co-founding HUE, creating the RayBowls and then starting Chilewich—I am constantly balancing, and absolutely love the intersection of art and commerce. In my search for other materials to incorporate into my RayBowls, I stumbled onto a woven textile used for outdoor furniture upholstery. The material did not work as RayBowl covers, but I fell in love with the design potential of this underutilized material. I learned quickly while visiting the weavers who produced it (and we are still working with them after nearly 20 years!) that there was so much opportunity to expand into applications beyond furniture upholstery with my design initiatives. Placemats were a no-brainer (but it was my no-brainer!). I created beautiful textiles that were designed to enjoy each and every day, from a simple breakfast for one to the most elegant gathering for many. Beautiful yet can be easily cleaned, and could last a lifetime. Shortly after launching the placemats, my husband, Joe Sultan (who is an architect and partner), helped me to create backing, which was then laminated to the material for area rugs, W2W carpeting, tiles and wall covering. All the material that we custom design in-house and have woven for us in Alabama is then sent to our own factory in Georgia where we manufacture all of our products, which are shipped around the world. You founded your company back in 2000. Nearly 20 years later, how do you keep things fresh? To be successful in a design business, you must keep innovating to grow. We design everything in NYC. In our own design studio we have a team of five who design the colors for every yarn we weave with—creating new constructions on our own loom, developing materials to print on, tuft on, etc. We are continually pushing the boundaries of manufacturing techniques…weaving, tufting, molding and printing. We have had clear breakthroughs, making things that have not been seen before…. This is all hard work with short deadlines. Thrilling, satisfying and exhausting, with the disappointment of product development failures along with the bliss that comes with success. Every year, you come up with several new patterns, colors, etc. Can you tell us about how you predict what will be on trend for each release? I have never been a trend watcher and that word is not part of my vocabulary. I seek inspiration from unlikely places…art of course, the past, a shade of concrete underfoot, an old lampshade, a fleeting image of a shoe on a subway…. A piece of lace on the runway. As we grow, there is some increasing pressure to listen and watch more carefully to aesthetic changes in the universe, but I personally would rather look more inward. And my greatest inspiration comes from looking at a process that makes one thing and then imagining how to tinker with this process to make something entirely different. Tell us more about the innovations that had to take place to create the new Market Fringe. We weave almost everything on industrial looms, which has enormous benefits but also comes with design limitations. Design boundaries fuel innovation, but there are times when you have to expand horizons. We discovered a small mill in Los Angeles that would be able to twist individual strands of our proprietary yarns together to make bigger chunkier yarns, and he [the mill owner] had the kind of looms that could weave these thicker yarns in both the warp and fill direction, making a heavier and chunkier allover textile. This luxurious material was designed to be a new kind of rug. It looks and feels very organic and handmade but has the strength and durability of everything we make. We explored how to finish the edges and were very brave to even consider fringing all four sides, which we do in our own factory by hand. This whole process was a labor of love and totally worth the hard work entailed. 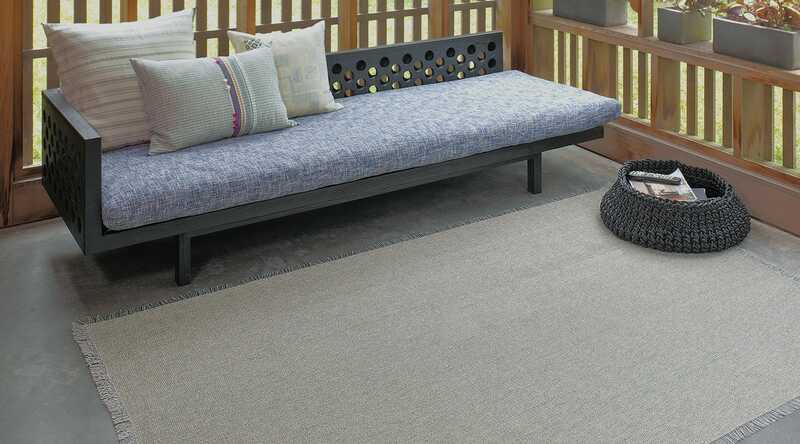 These Market Fringe rugs are perfect for outdoors: They can withstand all the elements and dry quickly in the sun. What else are you really excited to introduce this year? 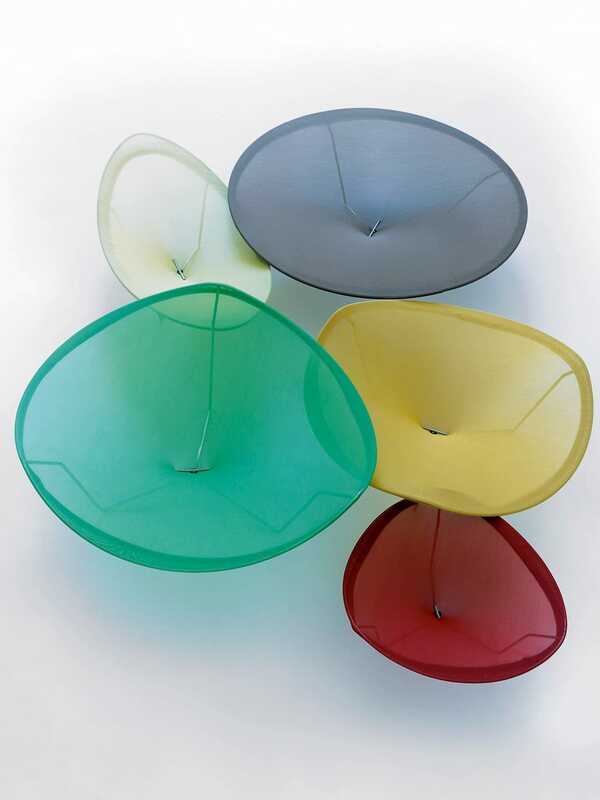 Apart from the latest Chilewich introductions, what are your favorite patterns/designs/colorways from over the years? Seven of my textiles from over the last 17 years have recently been accepted into the permanent collection of the Cooper Hewitt Design Museum. This was such an honor given that most of these textiles were used to be placemats…a pretty humble product. Finally, we have to ask, any chance the RayBowl will come back? RayBowls…people call us all the time…. You never know!